A dirty humidifier can be a breeding ground for mold and bacteria. Cleaning your humidifier should be a regular part of your routine in order to keep your air (and yourself!) healthy. 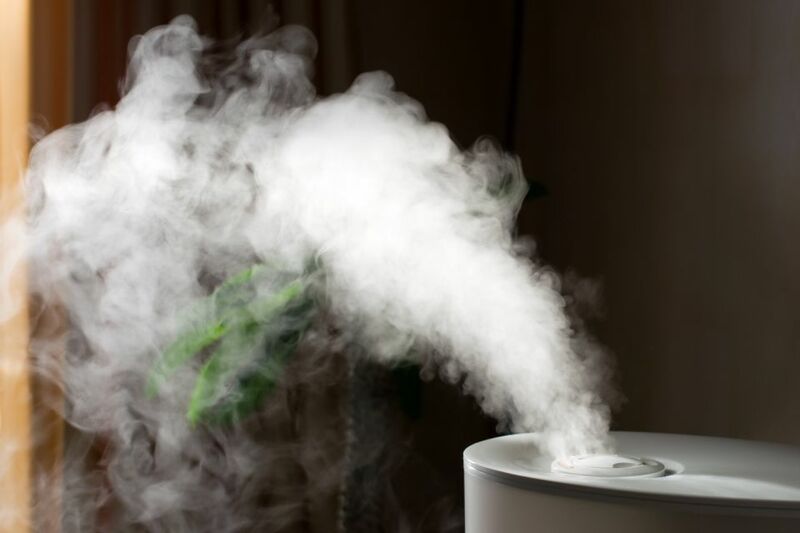 If you have a humidifier with a wick filter, learn how to properly maintain the equipment. Always turn off and unplug your portable humidifier before starting any maintenance cleaning and relocate it to a stable, well-lit surface. Using the built-in handle, lift and remove the water tank or reservoir from the humidifier base by pulling straight up. Empty any remaining water in the tank. Humidifier water tanks must be regularly disinfected to remove the presence of bacteria and reduce the risk of mold spores. Carefully remove the screw-on cap, fill with cool water and add a tablespoon of household bleach to the water. Replace the cap and set aside for 20 minutes. Once done, empty the water tank, rinse thoroughly with clear cool water, and wipe the outside with a soft damp cloth. Carefully lift the motor housing off the humidifier base and set it aside. You can either vacuum dust or use a dry cloth to gently wipe the inside of the housing cover to remove any built-up dust. Ensure that no water drips into the housing or the fan unit during cleaning of your humidifier. Only knowledgeable persons should ever disassemble the housing unit for further internal cleaning or repair. Doing so can render your warranty null and void. If you are concerned about dust inside the fan mechanism, have a qualified repair shop do this process. Simply lift off the old humidifier filter. The product manual or filter instructions for your particular model will confirm whether your unit's filter can be washed. Some wick filters can be washed by soaking it in a sink filled with cool water to remove scale. You can do a quick vacuuming first to remove the dusty scale residue, then proceed to wash it and it can be returned to the humidifier while still wet after the humidifier base has been cleaned. Do not squeeze or wring out a wick filter. Hand cleaning it can extend the life of your filter, but these filters are very economical and you can replace the filter more often than washing it. With the wick filter removed from the base, fill both sides of the base of the humidifier with one cup of undiluted white vinegar and allow to stand for about 20 minutes. You can use a soft cloth or brush to help with the removal of scale build-up from the base of the unit. Instead of vinegar, you can also use specially formulated humidifier cleaner and follow the manufacturer's instructions for its use. Rinse the base thoroughly to remove all the cleaning solution. Now that scale has been removed, you can disinfect the base with a little of the water and bleach mixture from the water tank. Let stand a few minutes and rinse the base. Now that the water tank and base of your humidifier have been descaled and disinfected, insert your new or washed wick filter, return motor housing to the ​base, and position the water tank. Gently wipe the outside of your unit with a soft dry cloth and you're ready to store the unit, or fill the water tank and return it to operation.